Haines Junction has a population of about 600. It stands at the crossroads of the Haines and Alaska highways and is the headquarters for Kluane National Park and provides an access point to Tatshenshini-Alsek Wilderness Provincial Park in British Columbia. Haines Junction was born during the Alaska Highway project, serving as a U.S. army base to house engineers working on the road’s construction. It was named after the community of Haines, situated on the Alaska coast. This area is home to the Champagne and Aishihik First Nation. They were one of the first 4 First Nations to sign self-government agreements. This school is as unique as the mountain range for which it is named. From its beginnings in the 1950’s at a highway camp, the school has relocated and grown, with the last addition completed in 1994. The school staff of full and part time educators serve 125 students from K-4 to grade 12. About 50% of the students are of First Nations ancestry and most of the classes are combinations of two grades. The challenge is to provide great educational opportunities for both elementary and secondary students. 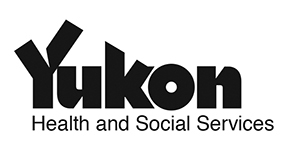 For more information about the school visit sec.yukonschools.ca. The St. Elias Community School Council coordinates a breakfast club each morning to offer students a good start to their mornings. The school has a lunch and snack program each day.